Bayo Adebowale was born on June 6, 1944 in Ibadan, Oyo state, Nigeria. He is a novelist, poet, librarian and short story writer. As a literary scholar, he has written a lot of literary texts, which include Out of his mind, Village harvest, Lonely Days etc. Bayo Adebowale was a senior principal lecturer in English and former Deputy Rector of The Polytechnic, Ibadan. He is the founder of the African Heritage Research Library (AHRL), Ibadan, Oyo state. In a typical African society where women are treated as objects, it is almost normal, if not normal, to see widows being encapsulated in victimization, marginalization and ill treatment by members of such society who claim to act within the confines of some barbaric laws and tradition of that society. This inhumane act leaves these widows in a pitiable state, and those who can't endure the torture, join their deceased husbands afterwards. However, amidst such unpleasant circumstance, few women still summon up courage to defend themselves even with the last drop of their blood. These women, most times, emerge victorious in their fight against society. 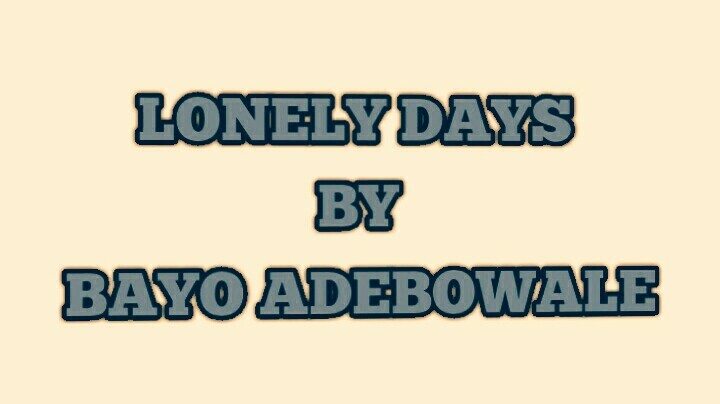 The above assertion is evident in Bayo Adebowale's Lonely Days as it showcases the unpleasant circumstances which come with being a widow within the context of a Yoruba community in the western part of Nigeria. The novel shows the horrible traditional widows' rite women go through after the death of their husbands just to prove their innocence. With Yaremi being the most victim, the rights of other widows (Fayoyin, Dedewe and Radeke) are trampled upon by the custodians of tradition. These widows are denied access to better life, and at worst, thrown into outer loneliness. Although Yaremi has been a friend of loneliness since the death of her husband, she is a strong resistance to societal dominance. Her unshaken refusal to abide by the custom and tradition of her society makes her distinct from other widows. 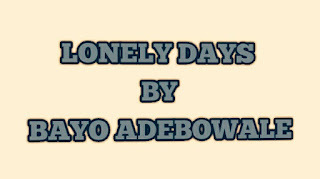 With the major events revolving around Yaremi, the protagonist, Lonely Days showcases the inhumane treatment suffered by widows in Kufi land after the demise of their husbands. Yaremi is the widow of Ajumobi, a very brave and successful hunter who gave in to the cold hands of death after a brief illness that couldn't be cured by the village herbalist who was called to cure him. After the death of her husband, Yaremi suffers all kinds of ill treatments from her kinsmen and the villagers, ranging from accusation of murder and horrible traditional widows' rites. She is always overwhelmed with sorrowful thoughts but finds solace in the fact that her husband, Ajumobi, did not die an abominable death. She is left to stay with her grandson, Woye, who assists her in domestic chores and taffeta business. Woye also keeps Yaremi company, and this, to a large extent, fills the vacuum which the death of Ajumobi created. No wonder Yaremi does everything possible to restore the health of Woye when he is sick. Woye eventually becomes well again, and Yaremi's joy knows no bound. More often, Yaremi reminisces on her past relationship with her husband who was a strong defence to her. She recollects his caring attitudes and constant provision of bush meat to her. Unfortunately, his death has created an irreplaceable vacuum in her life and subjected her to abject loneliness. At first, she tries hard to face the new life of loneliness but later becomes accustomed to her predicament. She moves on with life and forges ahead in business through which she becomes an independent and important figure in the village of kufi to the admiration of all and sundry. Yaremi's success is success for all women in the village of Kufi as she usually makes food donations such as corn, pumpkins, pottage, flour etc. to them. However, Yaremi's outstanding success becomes a threat to the men of Kufi because according to them, "no woman of the land had ever been allowed to worm her way into a position of prominence in village matters" (p. 89). While most men see her as someone to be avoided, some others long for her company. The authenticity of the latter clause is validated in the novel when some men like Olonade, Ayanwale and Lanwa, before the cap-picking ceremony, woo Yaremi for second marriage with their sweet tales and display of affluence and talents but to no avail. Yaremi violates the widows' traditional rite of picking a new cap, that is, selecting a new man for marriage, by maintaining her love for her late husband, Ajumobi. Yaremi becomes steadfast in her decision when her daughter, Segi (Woye's mom), visits to comfort her and tell her not to accept going into a second marriage or taking a new husband. Having the urge of going to school, Woye sets to follow his mom, Segi, as she sets to leave her mom's house for her husband's. During this time, Alani (Yaremi's only son), who has not been seen for a decade, returns and is taken around by Uncle Deyo (Ajumobi's friend) to show him his father's farmland which has been untouched since the death of his father. It is the duty of Alani to look after his father's property since he is a son, but Alani isn't moved because he has a booming carpentry business in the city, which he wants to face squarely in order to marry his pregnant girlfriend. Alani's reaction compounds his mother's problem. Things get worsened when the elders of Kufi ostracize Yaremi and seize her husband's properties. Yaremi is thrown into outer loneliness. The novel ends with Yaremi lamenting for the future days of loneliness; however, she builds her hope on God. Lonely Days is set in the fictional village of Kufi. The natural setting of the novel is drawn from Nigeria, precisely the western part. 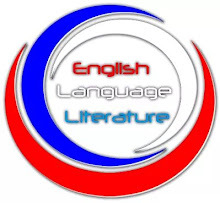 The novel is made up of fourteen chapters. It also contains an entrance verse, a poem of twenty-five lines, preoccupied with the woes of widowhood. The story is told from the third person omniscient point of view. This simply means that the story is not told by any of the characters in the novel but by an outsider, who is an all-knowing narrator. Adebowale employs the use of flashback to provide the reader with information on what had happened in the past.Yaremi's relationship with Ajumobi, her childhood and business are revealed to the reader through the use of this technique. Woye's sickness and its possible outcome are evidence of suspense in the novel as the reader desperately seeks to know if Woye would be whole again. The cap-picking ceremony also keeps the reader in suspense as he is very eager to know which cap Yaremi will pick. Adebowale also employs the story telling technique where the narrator tells stories (myths and folklores) that are told in the village by moonlight; e.g., the story of the tortoise who visited his in-law's house and messed himself up with a mess of hot pottage in the sitting room. The theme of loneliness runs through the novel hence making it the central or dominant theme of the novel. The novelist, Bayo Adebowale, uses the character of Yaremi to project this theme. The sudden demise of Ajumobi leaves Yaremi in outer loneliness. She is forced to carter for herself and face societal challenges alone unlike when her husband was alive. He had been her only companion since the marriage of her two daughters and long stay of her only son, Alani, in Ibadan. Yaremi's loneliness is aggravated when the elders of Kufi ostracize her and seize her husband's properties due to her refusal to pick a cap during the cap-picking ceremony. The novel showcases the unpleasant circumstances which come with being a widow in a typical African society. 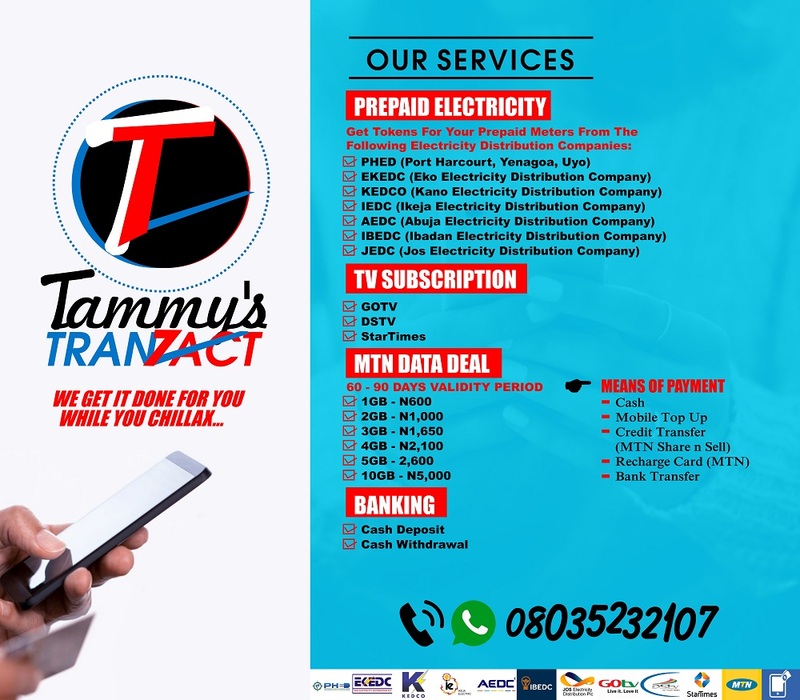 This is projected through the characters of Yaremi, Fayoyin, Dedewe and Radeke. These women suffer marginalization, deprivation, discrimination and all kinds of inhumane treatments after the death of their husbands. They are made to utter words in sorrowful tunes or confess sins they didn't commit just to have a minimal punishment. In the novel, Fayoyin was made to lick libation and sing a sorrowful song. She also has her hair shaved by the people of Kufi. Bayo Adebowale, through his novel, advocates for the urgent need for women empowerment. This will help them free themselves from the vicious chains of male dominance. To be empowered means to be engaged in a meaningful occupation. It is important to state here that empowerment begets independence. This is evident in the character of Yaremi. Aside her taffeta business, Yaremi has a farm. This makes her to be independent and gives her the boldness to face the men of Kufi despite her husband's absence. Traditionalism is the adherence to traditional views or practices, especially with regard to cultural or religious matters. In other words, traditionalism places customs and traditional values over modern ideas. This is the practice in Kufi land. That is why Yaremi and other widows are being forced to go for a second marriage without any option of choice, which is in accordance with the traditional values of the land but against modern ideology. On the other hand, spiritualism is a belief that the dead communicate with the living, especially through a medium. This is reflected in the novel through Ajumobi when he appears to Yaremi in her dream and declares to her that he is not asleep in heaven and he is constantly watching over his household. Through the character of Woye, Yaremi's grandson, the novelist brings to limelight the relevance of western education. At a point, Woye insists on following his mother, Segi, to Olode to attend Saint Andrew's School. Such insistence projects education as a means of self empowerment and freedom from oppression. Yaremi might be bold to face the men of Kufi, but she is very weak to take any legal action against the people of Kufi because she is uneducated. Such weakness is demonstrated in the end of the novel when she laments for her future days of loneliness but only builds her hope on God. If Yaremi were educated, she would have dealt with the men of Kufi legally; rather, she builds her hope on God after lamenting over her future days of loneliness. The characters in this novel are grouped into major and minor characters. She is the protagonist of the novel. Yaremi is a brave, confident, generous, self empowered and an industrious woman. She is the mother of Segi, Wura and Alani. The death of her husband made her a victim of marginalization, deprivation and victimization. He was a brave hunter. Ajumobi was Yaremi's late husband and the father of Segi, Wura and Alani. He was "well to do" in his lifetime. He owned a cocoa farm, trees, banana, kolanut trees and fruiting palm trees. Ajumobi was a loving husband who stuttered when he was angry. The son of Segi and grandson of Yaremi. He is a hardworking child and worthy companion of Yaremi. He helps Yaremi in her taffeta business and likes listening to her stories. He is a healthy child who likes playing football. Woye insists on going to school so that he can read the letters of the alphabet like his mates. Yaremi's first daughter and confidant. She is the mother of Woye and the wife of Wande. She lives in Alode with her husband. He is the only son of Yaremi and late Ajumobi. He lives in Ibadan where he has a booming carpentry business. He was Ajumobi's bossom friend when Ajumobi was alive. He is a responsible friend and takes his friend's family as his even after his friend's demise. He helps Yaremi with difficult chores like mending of the leaking roof of her house and rebuilding the walls of her mud house. These are the three widows who are also marginalized and victimized like Yaremi by the customs and tradition of Kufi land. He is the village flute player. He displays his talent during the cap-picking ceremony. He is one of Yaremi's suitors. He tries to impress her with stories of his earthly achievement so she can pick him during the cap-picking ceremony. He is also a drummer. Lanwa is one of Yaremi's suitors and a wealthy man (farmer) who claims kinship with Yaremi's late husband. He is one of Yaremi's suitors. He brags of making Yaremi a mother of twins once she accepts him in the cap-picking ceremony. He is also a wood carver. He is commonly known as "Iron man". He is a husband to Wura. He is a blacksmith and does his work in Apon where he lives. She is the second daughter and child of Yaremi and late Ajumobi. She lives with her husband, Sokoti, in Apon.